If you’ve been around the ancestral or traditional foods movement (paleo, primal, WAPF, hippies etc) for any length of time then you know about bone broth. You know that all the health gurus say to make it and use it in soups, stews, or even just drink straight up. You know that it’s “really easy” to make and really inexpensive. You also know that it’s one of the best superfoods to add to your diet. Chances are you also haven’t made it. And then came 2013. It was actually an unspoken resolution for me to start making and experimenting with things, like bone broth, that I’d always heard about but never felt enough motivation to try out myself. Things like homemade shampoo and deodorant. Or herb gardens and magnesium baths. All good things. Well, I’m here to tell you that bone broth is in fact easy and inexpensive. It/s also making all my soups super flavorful! Seriously, just give it a try. If you don’t have a crock-pot it is a bit more of a chore to make over the stove. You will probably want to bring it to a boil and then let it simmer for about 8 hours, you don’t really want to leave the burner on overnight (danger!). So I recommend buying a crock-pot because not only will you have an easy way to make bone broth, but you will also have a crock-pot with which to make other delicious slow-cooked items. Put everything in the crock-pot. Heat on high until it begins to boil. With a slotted spoon, try to remove the majority of the bones and other large pieces in the broth. Then, pour broth through a metal strainer into a large bowl or pitcher. Divide among jars. Once chilled, a layer of fat with solidify on the top of the broth. Chip it away and discard. 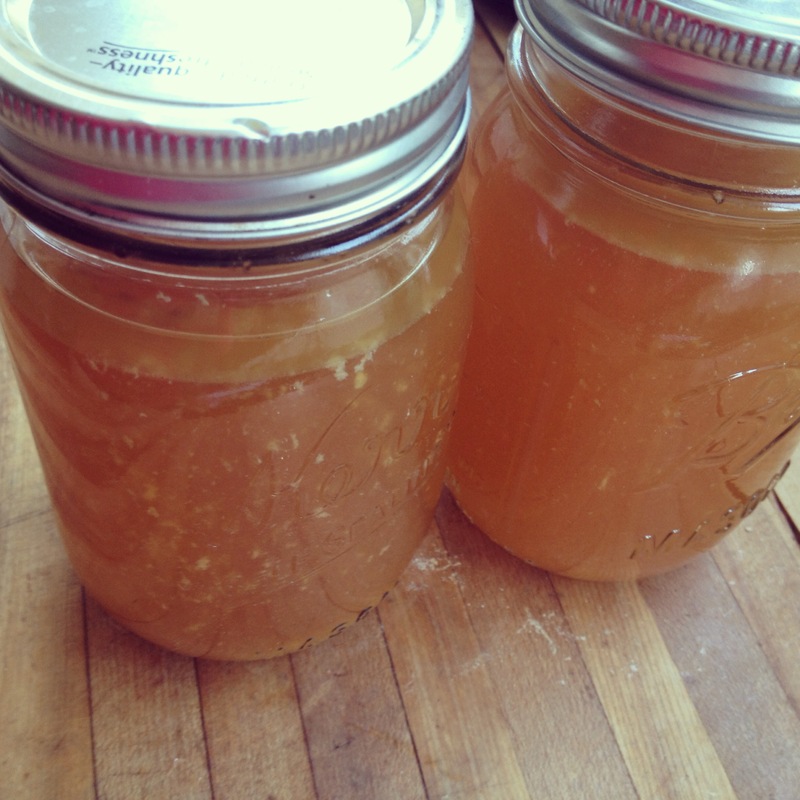 Voila, Hippy Dippy Bone Broth! Do you know how long it will stay good in the fridge? I usually freeze it but it would be good for about 7-10 days in the fridge. Got wait to try this. Thanks. Keep posting.